John Hardy beaded bracelets from the Classic Chain collection will kick start a great style for any man. 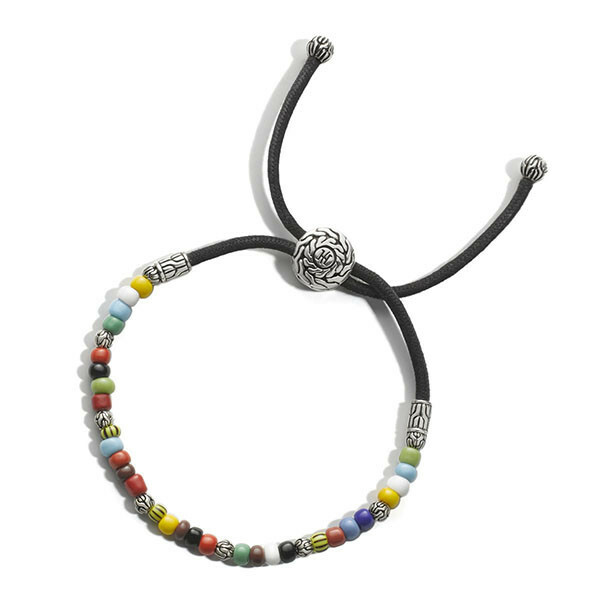 African beads float on a black cord along with sterling silver beads that are etched with the classic chain motif, and a decorative accent button adjusts the bracelet to slide on and off your wrist with ease. You can wear it solo or with other John Hardy bracelets for a cool layered look. NOTE: Color may vary.